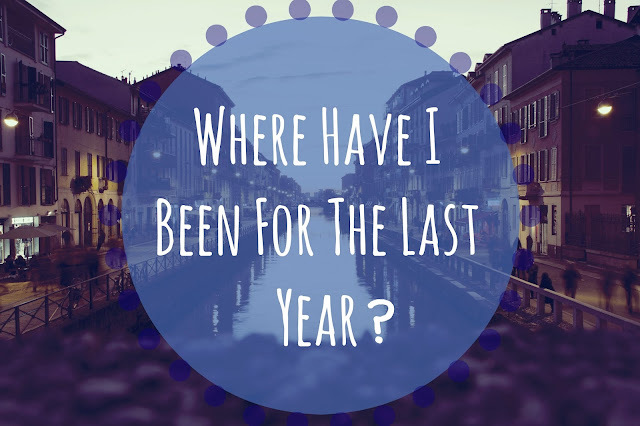 Iqra Arshad: Where Have I Been For The Last Year? Hi guys, it's been a while. Actually, it has been almost a year since I have last put up a blog post. That is crazy because so much has happened during this brief hiatus. If I am being completely honest, I just forgot to blog. I got so caught up in trying to settle into university and trying to improve my uploads to YouTube, I completely forgot and abandoned this beautiful blog which without I wouldn't have even had a YouTube channel. So we are going to get into what's been going on for the last year. Let's start with university. Results day didn't end up the best for me. I had really bad A-Level results, like at least 2-3 grades lower than what I expected to get. This meant I didn't really get into my first choice of university and I still remember the feeling of not being good enough to get in. It was a really crappy feeling. Luckily for me, I had enough UCAS tariff points to get into my second choice, however, I didn't really want to go there. It was a smaller university and it meant I would have to get 2 buses instead of just 1 like I would've had to with my first choice. I should say, my first choice was Birmingham City University (BCU) and my second choice was Newman University. Anyways, as I was saying, I really didn't want to go there and I definitely didn't want to study English and Drama anymore as Drama was one my A-Levels that ended up being a really bad grade. I look back now and I think the fact that I didn't do well in my Drama A-Level, I was discouraged to continue it in university. So in the end, I went to my tutor's office, rang up BCU to see if they'll accept me even if I didn't have a C in English but alas this was not going to happen. So then I rang up Newman University through clearing and asked if I could do English and Creative Writing instead (which was a fairly new course starting in 2015-16 I believe) and they changed it all for me. I left my college fairly pleased and excited to start university in September/October. Now the entire year was stressful but also amazing. I made a great bunch of new friends who I feel are pretty cool and I hope they will be lifelong friends. I imagine it now: us attending each other's weddings etc haha. I managed to pass the entire year and I got my first 2:1 which was a bit of a dumb assignment, creating an online style of CV but still, it was exciting to know I was capable of getting a 2:1. This year was tough too, though. I had been studying English since secondary school because obviously it is a core subject and then I also did it for an A-Level so I thought I was pretty confident in knowing my stuff. But my gosh, was I wrong or what? There were things that people knew already and I was just sitting there like 'erm I never learnt this in college' so yes, there was definitely that aspect of feeling dumb around a bunch of intelligent people. Eventually, I realised I can be intelligent and I just had to put in that extra time to do more readings etc which I was pretty bad at doing but I have definitely learned from that mistake. Use every opportunity you get to catch up on reading etc. Most lecturers give you something to read before you come to that lecture/seminar, so if you travel on a bus or train like me, instead of just listening to music like I usually do, do that reading. This works especially well if it is a long journey and for me, I took two buses which usually meant I scheduled in 2 hours of travel. Okay so that's university, now to work. I managed to find some voluntary work in a charity shop called Acorn's Childen's Hospice. During this summer, I am working 6 hours a week in there and I love it. I learnt how to operate the till so now I should be able to get any paid retail job because most have denied me all year due to the fact that I didn't have any experience. I'm hoping to still try and volunteer if I can when I go back to university in September/October but that'll all depend on my timetable and if the manager needs help on the days I will be free. I will also have to do some work placements during my second year of university so I obviously need to schedule that in as a priority versus a proper paid job, unfortunately. Other than university and this job, I'm not too sure if anything much else has happened. However if I have missed anything please remember to follow my social media accounts to keep up to date with me. I also did two university-related videos on my YouTube channel so they will be linked down below so you can view those in case I missed anything. The last thing I want to discuss is the future of my blog. Firstly I have purchased a new domain which doesn't end with the blogger bit like mine currently does. I've wanted to do this for a while but kept it on hold until I was sure. I've realised I really want to build my 'brand' that is Iqra Arshad so that is why I am going to change it. I will be doing it after I share this blog post but it does take time to actually work. Next, I want to change the colours and general look of my blog. I've had this blog since late 2012 and it currently has roughly 66 posts. This November it will be 4 years since this blog went up so I have changed a lot. I mean, I've changed a lot in 1 year so let's not even think how much I've changed over 4 years. I've just decided I want a more minimalistic look, probably black and white but I'm not definite on the colours yet. I just know I want to be simple and elegant and represent me as who I am today. This blog is my baby and it began everything for me so I feel I should dedicate more time to it and actually take care of it like you would with a animal/furbaby or human baby. The posts I put up will be generally the same but I will break them down for you anyways. I will still have makeup and general beauty posts like skincare etc so this could be anything to do with makeup whether that's a haul or swatches etc. I will also try to do more fashion posts and OOTDs because people are always asking me to do these videos and posts so I might aswell listen to you folk since you are a huge reason why my blog has done so well. I will also do reviews so this could be makeup, skincare, books or even like tech reviews. Just reviews in general of any kind because I love talking about things haha. And lastly, lifestyle posts which will be kind of like this post where I just brain dump you guys with things going on in my life like university and general things. As well as fashion and beauty blog, I've always considered this blog like a somewhat diary so I want to continue doing posts like this one where I just talk to you! I may do Music Mondays but that will depend on if I'm feeling that. I went a bit downhill with that segement haha but if I do decide, I might just have a section dedicated to things like music, drama and extra things.